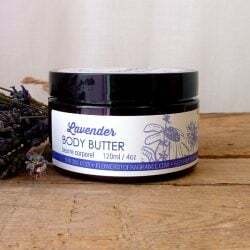 Shop our lavender line to enjoy the calming benefits of lavender. For your body or for your home, we have something for everyone. We’re taking a break – Orders placed between April 8th and 16th will be shipped on the 17th of April. Sorry for the delay. Our products are all handmade and locally produced, using only the finest natural, Fair Trade, Ecocert, and organic ingredients. Flowers to Fragrance products are hand made with 100% natural ingredients using essential oils, hydrosol and dried flowers, grown right on our farm. Working with local aromatherapists and soap makers we have the finest beauty and body care products. We grow lavender and more! We grow many different varieties of Lavender, Twickle Purple, Sachet, Maillette, Provence, Grosso to name a few. We also produce the following essential oils: Monarda, Lemon Balm, Orange Mint, Grapefruit Mint, Calendula, German Chamomile, Hyssop, and Coriander. Guided field tours are offered throughout the first two weeks of July, from Thursday to Saturday. Groups will be shown around the farm fields and your guide will explain the different crops, essential oils and the history of their uses.